For most development teams, user experience (UX) is one of the most critical factors in the success of their application. To collaborate effectively on UX, you need to see it. You need to feel it. Everyone on the team — from designers to testers to product owners — needs to interact with new features throughout the entire development process. This means either interrupting developers to access their dev environment or waiting for changes to reach the staging environment. Runnable solves this problem by building full-stack preview environments for every code change. 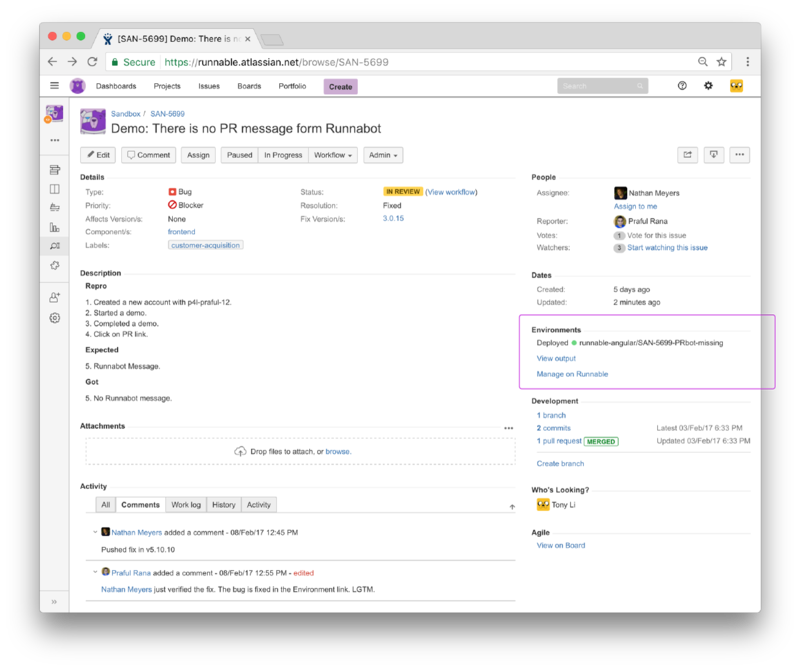 And with Runnable Environments for JIRA, everyone on the team can instantly track and access new features at any time. 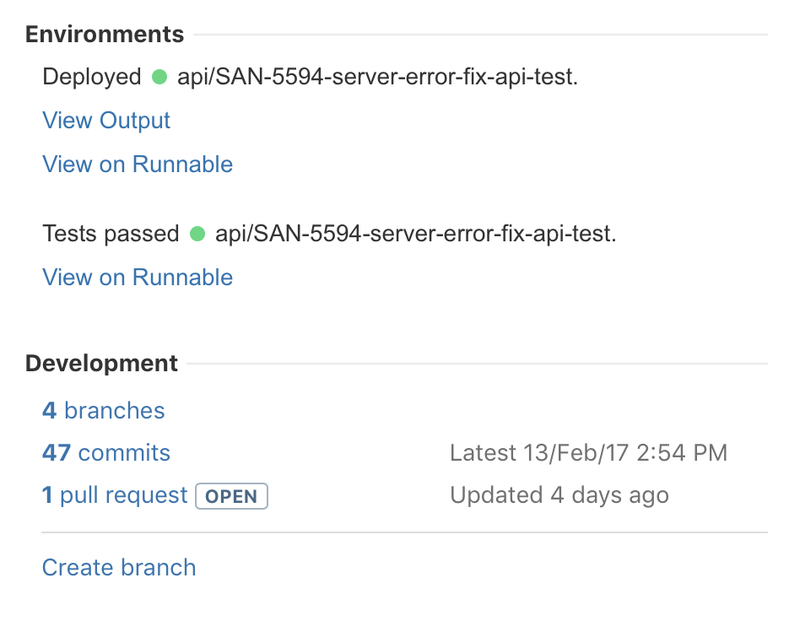 As soon as a developer starts progress on a JIRA ticket and creates a branch, Runnable builds an isolated, full-stack environment for that feature. This allows product managers and designers to engage with this feature and collaborate with the developer directly from JIRA. The Runnable Environments add-on is massively beneficial. We love that links are always up-to-date and we don’t have to manually copy and paste info into JIRA. Runnable also runs any test — including functional and end-to-end tests — on the feature branch’s preview environment to provide feedback throughout the dev process. Once development is complete and the JIRA ticket is transitioned to “Ready for Review”, the QA team can complete any manual testing. Devs and product managers can also demo the feature to customers and other stakeholders. This is truly the ultimate dev team collaboration experience. Runnable Environments for JIRA is an Atlassian Connect add-on for JIRA Cloud. Similar to the DVCS Connector for JIRA, our integration looks for JIRA issue keys in your branch names to display related Runnable information in the “Environments” panel. The Environments panel always displays the current build status, latest test results, and links to your Runnable environment. You can install Runnable Environments for JIRA with a single click via the Atlassian Marketplace or directly from the JIRA add-on administration.